Worked my now-standard teaching-then-movie-theater double last night. Got in around 11 and thought I would put in a half an hour on the treadmill while watching the beginning of a bad movie. Wouldn’t you know it, the movie was only partly terrible and I ended up watching the whole thing. How’s that for an endorsement? I watched PAPARAZZI (2004) on 9.17.13. It was my first viewing of the film. This is a good premise, ok? Some Hollywood type gets bombarded by some overzealous paparazzi, people get hurt, and he goes after them. Only it needs to be subtle. It needs to show the balance the worlds share. It needs to show that the star system needs the publicity even as they condemn the methods by which said publicity is presented. On the other hand… you could just make a generic suspense film and sub in a normal guy who just became a movie star for a movie star pretending to be a normal guy. Then you could eliminate the villains’ guns and give them cameras instead. But then make them unbelievably villainous. You could take every first choice suggested in the script making process and never develop an idea fully. You can add a cop played by Dennis Farina who is supposed to add suspense and immediacy, but who we know to be toothless from the outset. If you chose option two, you have successfully made PAPARAZZI. It’s too bad, really. 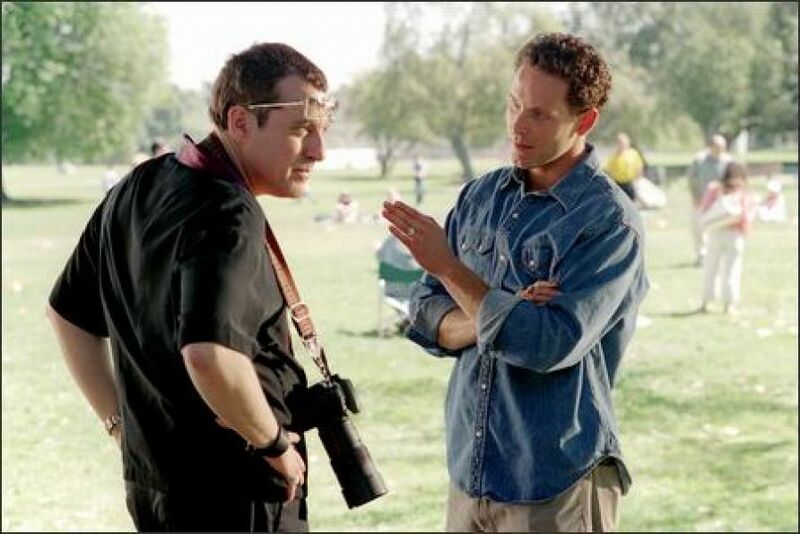 Cole Hauser is pretty good as the Montana boy turned movie star who isn’t used to having cameras shoved in his face. The movie makes him much darker than you would imagine, and it may be the film’s only salvation. It at least becomes interesting when we wonder how far he will go. There is a moment in the final confrontation where we think he may make the wrong choice. The villains are Daniel Baldwin and Tom Sizemore. They have fun playing this up like they are the most evil people every to hold a camera. There is nothing redeeming in them. They have a couple of cohorts who we know will be the first to die, and then do so. This revenge flick is never sure how far it wants to go until it gets there, so there is a weird tone throughout this thing. The writing is just poor. People do unbelievable things in unbelievable ways thanks to unbelievable coincidence. The first villain death is prime example number one. Example two would be the inability to sweep your house for cameras after you know the paparazzi have broken in (except for in the one room which you will need to be unseen to serve the plot later) . Not checking traffic cameras after a traffic accident for several weeks because it would make the movie too short is the last example I’ll lob out there (and I love how surprised the cop is when he has the revelation that he might be able to check traffic cameras to check the traffic). Despite all these glaring flaws in filmmaking and writing, this manages to be a movie which can be stomached once. It’s not a terrible suspense movie, it is just sort of a waste of a potentially good suspense movie which thinks it is far more clever than it is. Mel Gibson produces and makes a cameo as a guy waiting to see a psychiatrist. Chris Rock cameos, for no good reason, as a pizza guy. Matthew McConaughey shows up on the red carpet as himself. They make an in joke about the Baldwins and they reference Nicole Kidman. It’s all very obvious. So see it once, maybe. It may hold your attention between eye rolls. Hauser does a fine job as the leading man. The villains are stock characters but not less than entertaining. The action set pieces are surprisingly small, but Hauser makes you want them to work. There are worse revenge flicks out there. ~ by johnlink00 on September 18, 2013.